Raif bin Muhammad Badawi is a Saudi writer, dissident and activist, as well as the creator of the website Free Saudi Liberals. Samar Mohammad Badawi is a Saudi Arabian human rights activist. She and her father filed court cases against each other. Badawi's father accused her of disobedience under the Saudi Arabian male guardianship system and she charged her father with adhl—"making it hard or impossible for a person, especially a woman, to have what she wants, or what's rightfully hers; e.g, her right to marry" according to Islamic jurisprudence—for refusing to allow her to marry. After Badawi missed several trial dates relating to the charge, an arrest warrant was issued for her, and Badawi was imprisoned on 4 April 2010. In July 2010, Jeddah General Court ruled in Samar Badawi's favor, and she was released on 25 October 2010, and her guardianship was transferred to an uncle. There had been a local and international support campaign for her release. The Saudi NGO Human Rights First Society described Badawi's imprisonment as "outrageous illegal detention". Joseph Jacques Jean Chrétien is a Canadian politician who served as the 20th prime minister of Canada from November 4, 1993, to December 12, 2003. Stéphane Maurice Dion is a Canadian diplomat, political scientist, and former politician who has been the Canadian ambassador to Germany and special envoy to the European Union since May 2017. Dion was Minister of Foreign Affairs under Prime Minister Justin Trudeau from 2015 until he was shuffled out of Cabinet in 2017. He was also the Leader of the Liberal Party of Canada and the Leader of the Opposition in the House of Commons from 2006 to 2008. Adel bin Ahmed Al-Jubeir is a diplomat who was Saudi Minister of Foreign Affairs from 29 April 2015 to 27 December 2018. He is the second person not belonging to the House of Saud to hold the office, after Ibrahim bin Abdullah Al Suwaiyel. He previously served as the Saudi Ambassador to the United States from 2007 to 2015, and was also a foreign policy advisor to King Abdullah. On January 2, 2016, the Kingdom of Saudi Arabia carried out a mass execution of 47 imprisoned civilians convicted for terrorism in 12 provinces in the country. Forty-three were beheaded and four were executed by firing squads. Among the 47 people killed was Shia Sheikh Nimr al-Nimr. The execution was the largest carried out in the kingdom since 1980. Nimr al-Nimr was sentenced to death by the Specialized Criminal Court on 15 October 2014 for "seeking 'foreign meddling' in Saudi Arabia, 'disobeying' its rulers and taking up arms against the security forces". His execution was condemned by religious and political figures and human rights groups. The Saudi government said the body would not be handed over to the family. Al-Nimr was very critical of the Saudi Arabian government, and called for free elections in Saudi Arabia. From the end of 2012 until the middle of 2018, Saudi Arabia had become Canada's second largest export market in the Middle East. Much like Israel, most of the success of the former Canadian-Saudi relations was attributable to opposition to Iran and other countries in the region. On the bilateral relations with Saudi Arabia, economic and trade interests used to be at the forefront of all discussions and meetings. In mid 2018, most educational ties were downgraded. Canadian Minister of Foreign Affairs Chrystia Freeland. You can criticize us about human rights, women’s rights … that’s your right. You can sit down and talk about it, but demand the immediate release? What are we, a banana republic? Would any country accept it? After the incident, the Saudi government has received official backing from the vast majority of the Arab league, while Canada received support from some MEPs. The day after Saudi Arabia downgraded ties, Yemen's Hadi government,  the United Arab Emirates  and Bahrain  expressed support to Saudi Arabia. Saudi Arabian stated policy is focused on co-operation with the oil-exporting Gulf States, the unity of the Arab world, Islamic strength and solidarity, and support for the United Nations (UN). In practice, the main concerns in recent years have been relations with the US, the Israeli–Palestinian conflict, Iraq, the perceived threat from the Islamic Republic of Iran, the effect of oil pricing, and using its oil wealth to increase the influence of Islam and especially the conservative school of Islam supported by the country's rulers. Saudi Arabia contributes large amounts of development aid to Muslim countries. From 1986 to 2006, the country donated £49 billion in aid. 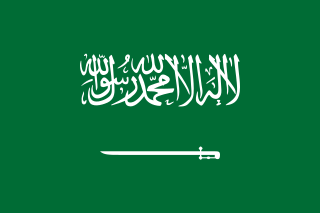 Human rights in Saudi Arabia are the subject of protection or violation by the government, which enforces Wahhabi religious laws under absolute rule of the Saudi royal family. Christina Alexandra "Chrystia" Freeland is a Canadian writer, journalist, and politician. She was appointed Canada's Minister of Foreign Affairs in January 2017, succeeding Stéphane Dion. Heather Ann Nauert is an American broadcast journalist and former government official who served as Spokesperson for the United States Department of State from 2017 to 2019. Canada–China relations, or Sino-Canadian relations officially dates back to 1942, when Canada sent an ambassador to China. Before then, Canada had been represented by the British ambassador. The Communist victory (1949) in the Chinese Civil War caused a break in relations that lasted until 1970, when Canadian Prime Minister Pierre Trudeau became one of the first Western leaders to recognize the People's Republic of China. Canada is home to a large Chinese diaspora, which affects diplomatic and other dimensions. 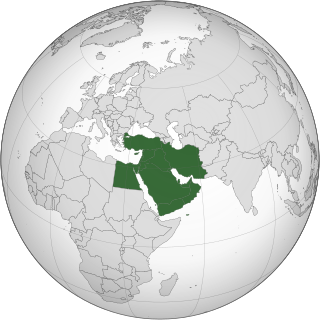 The National Society for Human Rights (NSHR) is a Saudi Arabian human rights organisation closely associated with and funded by the Saudi government. It was established on 10 March 2004, two years after the Human Rights First Society applied unsuccessfully for a licence. As of August 2018, the President of the NSHR was Mufleh bin Rabayan al-Qahtani. Canada and Qatar enjoyed friendly relations and coordination on the international field, long before Qatar's Embassy opened in Ottawa in 2011, including their joint military collaboration during the 1st Gulf War and in the international campaign to liberate the Libyan people. Diplomatic relations between the two nations were established in 1974. Ensaf Haidar is a Saudi Arabia-born Canadian human rights activist. Born in Jizan, Saudi Arabia, Haidar is the wife of Raif Badawi, and actively campaigns for his freedom. Haidaris the President of the Raif Badawi Foundation for Freedom, that actively campaigns for freedom of speech and human rights awareness in the Arab World. 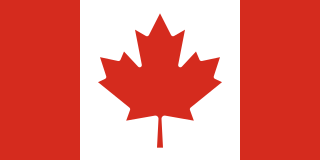 Saudi Canadians are Canadians of Saudi descent or Saudis who have Canadian citizenship. According to the 2011 Census there were 7,955 Canadians who claimed Saudi ancestry. The Raoul Wallenberg Centre for Human Rights (RWCHR) is a Montreal-based non-governmental organization dedicated to pursuing justice through the protection and promotion of human rights. The RWCHR's name and mission is inspired by Raoul Wallenberg's humanitarian legacy. The assassination of Jamal Khashoggi, a Saudi dissident, journalist for The Washington Post and former general manager and editor-in-chief of Al-Arab News Channel, occurred on 2 October 2018 at the Saudi consulate in Istanbul, Turkey and was perpetrated by agents of the Saudi Arabian government. The exact cause of his death is unknown since his body has not been located or examined. Government officials of several countries, including Saudi Arabia, Turkey, the United Kingdom, France, and Germany, believe Khashoggi was murdered. Turkey in particular believes it was premeditated murder, and anonymous Saudi officials have admitted that agents affiliated with the Saudi government killed him. Dhahban Central Prison, also known as Dhahban Prison, is a maximum security prison facility located near Dahaban, Jeddah, in Saudi Arabia. It was built in 2015 as part of a renovation of the Jeddah Prisons infrastructure, at a cost of SR400 million. It has capacity for 7,500 inmates. When it opened, 3,000 inmates were transferred in from Braiman Prison. In 2015, the regional director for prisons Mani Al-Otaibi said it was the most advanced prison in Saudi Arabia, with state of the art surveillance technologies. Nassima al-Sadah is a Shia human rights writer and activist from the "restive Shi'ite-majority" eastern province Qatif, Saudi Arabia. She has "campaigned for civil and political rights, women's rights and the rights of the Shi'a minority" in the eastern province Qatif, Saudi Arabia for many years. She ran as a candidate in the 2015 Saudi Arabian municipal elections but was disqualified. Sadah and another prominent activist, Samar Badawi, were arrested on July 30, 2018 were arrested by Saudi authorities in a broader "government crackdown" on "activists, clerics and journalists." Al Sada was placed in solitary confinement in early February 2019 in al-Mabahith Prison in Dammam. 1 2 "Canada-Saudi Arabia Relations". Government of Canada. 1 2 3 Murray Brewster (19 March 2018). "Canada's arms deal with Saudi Arabia includes 'heavy assault' vehicles". CBC. Retrieved 7 August 2018. 1 2 3 "Fast Facts". Saudi Arabian Cultural Bureau in Canada. Retrieved 9 August 2018. ↑ "Foreign Ministry  on Twitter". Twitter. Retrieved 6 August 2018. ↑ "Saudi Arabia has frozen all trade investment with Canada" . Retrieved 6 August 2018. ↑ "Chretien arrival to Saudi Arabia ends his tour in the Middle East". Kuwait News Agency. 17 April 2000. Retrieved 7 August 2018. ↑ "Raif Badawi's case raised by Stéphane Dion with Saudi counterpart". CBC. 17 December 2015. Retrieved 7 August 2018. ↑ Mike Blanchfield (7 January 2016). "Justin Trudeau advised to deepen ties with Saudi Arabia, brace for change in Iran". CBC. Retrieved 7 August 2018. ↑ Kevin Nielsen (3 January 2016). "Federal government denounces mass executions in Saudi Arabia". Global News. Retrieved 7 August 2018. ↑ "Saudi Arabia-Canada spat: What we know so far". The Globe and Mail. 7 August 2018. Retrieved 9 August 2018. ↑ "Saudi Arabia | Product | Imports | from Canada 2015 | WITS | Data". wits.worldbank.org. Retrieved 6 August 2018. ↑ "Canada | Product | Imports | from Saudi Arabia 2015 | WITS | Data". wits.worldbank.org. Retrieved 6 August 2018. ↑ "The Canadian Armed Forces and the Gulf War". Veteran Affairs Canada. Retrieved 7 August 2018. 1 2 "Explainer: Saudi-Canada relations before Riyadh's diplomatic spat". The New Arab. 6 August 2018. Retrieved 8 August 2018. ↑ Ashifa Kassam (21 March 2018). "Justin Trudeau defends Canada's arms sales to Saudi Arabia". The Guardian. Retrieved 7 August 2018. ↑ Steven Chase (11 May 2016). "Canada must 'stick to its word' on Saudi arms deal, Trudeau says". The Globe and Mail. Retrieved 7 August 2018. ↑ Melanie Marquis (8 February 2018). "No evidence Saudis used Canadian-made armoured vehicles in human rights abuses: Freeland". Global News. Retrieved 9 August 2018. ↑ "The Department of Academic Relations and Admissions". Saudi Arabian Cultural Bureau in Canada. Retrieved 9 August 2018. ↑ "CANADA-SAUDI ARABIA RELATIONS". Canadian Government. 9 May 2007. Archived from the original on 21 June 2008. Retrieved 4 April 2009. ↑ "Brexit, Trump election drive university students to Canada, but will they stay here? | CBC News". CBC. Retrieved 6 August 2018. 1 2 STEPHEN THORNE (8 August 2003). "Sampson tested by torture, deprivation". pub. Retrieved 22 March 2009. ↑ "Canada Turned a Blind Eye to This Woman's Black Eye". Huffpost. Retrieved 7 November 2013. ↑ "La mère d'une Québécoise coincée en Arabie saoudite dénonce l'inaction du gouvernement canadien". Huffpost Quebec. Retrieved 14 January 2019. ↑ "Canadian a step closer to execution in Saudi Arabia". CBC News. 7 November 2008. Retrieved 5 March 2009. ↑ Sidhartha Banerjee (28 May 2013). "Mohamed Kohail Free: Canadian Condemned To Death In Saudi Arabia Released". huffingtonpost.ca. 21 December 2018. The Canadian Press. ↑ Chrystia Freeland [@cafreeland] (2 August 2018). "Very alarmed to learn that Samar Badawi, Raif Badawi's sister, has been imprisoned in Saudi Arabia. Canada stands together with the Badawi family in this difficult time, and we continue to strongly call for the release of both Raif and Samar Badawi" (Tweet) – via Twitter. ↑ Foreign Policy CAN [@CanadaFP] (3 August 2018). "Canada is gravely concerned about additional arrests of civil society and women's rights activists in #SaudiArabia, including Samar Badawi. We urge the Saudi authorities to immediately release them and all other peaceful #humanrights activists" (Tweet) – via Twitter. 1 2 Jon Gambrell (5 August 2018). "Saudi Arabia expels Canadian ambassador, freezes trade in human rights dispute". Toronto Star. The Associated Press. Archived from the original on 2018-11-08. Retrieved 6 August 2018. ↑ "Saudi foreign minister demands Canada stop treating it like a 'banana republic'". The Guardian. 28 September 2018. ↑ "Foreign Ministry: negative, surprising attitude of Canada totally false claim". Saudi Press Agency. 6 August 2018. Retrieved 7 August 2018. ↑ "Saudi Arabia expels Canadian ambassador after Ottawa criticizes arrests of Saudi activists". Washington Post. 6 August 2018. Retrieved 11 August 2018. ↑ "Saudi Arabia sells off Canadian assets as dispute escalates: FT". Thomson-Reuters. 8 August 2018. Retrieved 11 August 2018. ↑ "Riyadh to transfer all Saudi patients in Canada out of the country". CNBC. Reuters. 7 August 2018. Retrieved 8 August 2018. ↑ Simeon Kerr (8 August 2018). "Saudi Arabia sells Canadian assets as dispute escalates". Financial Times. Retrieved 8 August 2018. ↑ Ainsley Smith (7 August 2018). "Saudi Arabia orders all of its foreign university students to leave Canada". Daily Hive. Retrieved 7 August 2018. 1 2 Harris, Tamar (August 16, 2018). "Saudi renters forced to leave Toronto face 'legal nightmare' over leases, advocate says". Toronto Star . ↑ "Message to Students from Saudi Arabia". uwo.ca. Archived from the original on 17 August 2018. Retrieved 17 August 2018. ↑ Joshua Berlinger (7 August 2018). "Saudi Arabia state airline cancels flights to Canada amid growing dispute". CNN. Retrieved 7 August 2018. ↑ Tom Embury-Dennis (6 August 2018). "Saudi Arabia state airline to suspend flights in and out of Toronto amid intensifying diplomatic row with Canada". The Independent. Retrieved 7 August 2018. ↑ "Saudi official says oil sales unaffected by dispute with Canada". CTV News. 9 August 2018. Retrieved 11 August 2018. ↑ "Saudi Arabia to sell off Canadian assets and stop buying Canadian wheat and barley". CBC News. 8 August 2018. Retrieved 11 August 2018. ↑ Naser Al Wasmi (8 August 2018). "Al Jubeir: No room for mediation with Canada". The National. Retrieved 11 August 2018. ↑ "On Saudi Arabia, Canada's stance is principled — but conflicted". Toronto Star. 10 August 2018. Retrieved 11 August 2018. ↑ "Et tu quoque, Trudeau? How Saudi trolls slammed Canada in a diplomatic spat". CBC News. 10 August 2018. Retrieved 11 August 2018. ↑ Picard, André; Weeks, Carly (27 August 2018). "Saudi Arabia allows medical trainees to stay in Canada". theglobeandmail.com. ↑ "Here's the fake news Saudi Arabia is playing about Canada". Global News . 15 August 2018. 1 2 "Saudi Arabian group apologizes for posting image showing plane heading towards CN Tower". CBC News. Retrieved 6 August 2018. ↑ "'Unacceptable': Outrage over Saudi tweet". news.com.au. Reuters, The Associated Press. 7 August 2018. Retrieved 7 August 2018. ↑ "Amid Saudi Arabia dispute, Canada says will always defend human rights". Ottawa: Reuters. 6 August 2018. 1 2 Tasker, John Paul (8 August 2018). "Trudeau rebuffs Saudi call for an apology as diplomatic spat escalates". CBC News . Retrieved 11 August 2018. ↑ "'We don't have a single friend': Canada's Saudi spat reveals country is alone". The Guardian. 11 August 2018. Retrieved 11 August 2018. 1 2 Hopper, Tristin (August 14, 2018). "'This has not been a good hour for Canada': John Baird slams Trudeau government on Saudi state TV". National Post. ↑ "Raif Badawi: John Baird protests blogger flogging to Saudi prince". CBC News. January 25, 2015. Retrieved August 14, 2018. ↑ Angus, Charlie (August 16, 2018). "The ethics of John Baird's Saudi intervention". Toronto Star . ↑ Bloomberg L.P. (10 August 2018). "Saudi Arabia warns of further retaliation against Canada". Straits Times. Retrieved 10 August 2018. ↑ Andrew Russel (8 August 2018). "How Saudi Arabia selling Canadian assets could affect our economy". Global News. Retrieved 10 August 2018. 1 2 Staff (7 August 2018). "Saudi Arabian agency stops buying Canadian wheat, barley". Reuters. Retrieved 10 August 2018. ↑ Kate Ayers (9 August 2018). "Saudi Arabia halts Canadian grain imports". Farms.com. Retrieved 10 August 2018. ↑ Fergal Smith (8 August 2018). "Canadian dollar rebounds from two-week low as investors look past Saudi dispute". Globe and Mail. Retrieved 10 August 2018. ↑ Maciej Onoszko and Sarah Algethami (8 August 2018). "Canadian dollar whipsaws as row with Saudi Arabia escalates". Financial Post. Retrieved 10 August 2018. ↑ Kelly Grant and Jack Hauen (8 August 2018). "Canadian teaching hospitals facing withdrawal as Saudi Arabia recalls sponsored students". Globe and Mail. Retrieved 5 September 2018. ↑ "Saudi medical trainees allowed to stay in Canada, for now". CBC. 28 August 2018. Retrieved 5 September 2018. ↑ "Saudi Arabia allows medical trainees to stay in Canada". Globe and Mail. 28 August 2018. Retrieved 5 September 2018. ↑ "Yemen supports kingdom against any prejudice to its sovereignty". Saudi Press Agency. 6 August 2018. Retrieved 8 August 2018. ↑ "UAE Expresses Solidarity with Saudi Arabia against Any Foreign Interference in Its Domestic Affairs". Saudi Press Agency. 6 August 2018. Retrieved 11 August 2018. ↑ "Bahrain says supports Saudi Arabia in rights row with Canada". Reuters. 6 August 2018. Retrieved 11 August 2018. ↑ Jessica Vomiero (6 August 2018). "Arab states back Saudi Arabia in expelling Canadian ambassador over human rights dispute". Global News. Retrieved 6 August 2018. ↑ "قطر تنأى بنفسها عن أزمة السعودية وكندا" (in Arabic). Al Jazeera Arabic. 6 August 2018. Retrieved 6 August 2018. ↑ "Abbas backs Saudi Arabia". Arutz Sheva. 7 August 2018. Retrieved 8 August 2018. ↑ "Jordan Emphasizes KSA Right to Apply National Laws, Regulations". Saudi Press Agency. 7 August 2018. Retrieved 8 August 2018. ↑ "Djibouti Strongly Condemns Canadian Intervention in KSA Internal Affairs". Saudi Press Agency. 7 August 2018. Retrieved 8 August 2018. ↑ "Mauritania expresses full solidarity with kingdom against any interference in its internal affairs". Saudi Press Agency. 7 August 2018. Retrieved 8 August 2018. ↑ "Sudan expresses full solidarity with the Kingdom against any interference in its internal affairs". Saudi Press Agency. 7 August 2018. Retrieved 8 August 2018. ↑ "Egypt confirms solidarity with kingdom in position rejecting any external interference in internal affairs". Saudi Press Agency. 8 August 2018. Retrieved 8 August 2018. ↑ "Comoros Stresses Rejecting Canadian Interference, in KSA Internal Affairs, based on Fake Pretext to Defend HRs". Saudi Press Agency. 8 August 2018. Retrieved 8 August 2018. ↑ "Hariri: Lebanon supports Saudi stance in Riyadh, Ottawa diplomatic row". Egypt Today. 8 August 2018. Retrieved 8 August 2018. ↑ "Russia chides Canada over row with Saudi Arabia". Yahoo! News. Reuters. 8 August 2018. Retrieved 8 August 2018. ↑ "Pakistan backs Saudi Arabia in diplomatic tussle with Canada". ARY News. 9 August 2018. Retrieved 24 August 2018. ↑ Paul McLoughlin (7 August 2018). "Oman and Kuwait go gently into Saudi Arabia and Canada dispute". The New Arab. Retrieved 8 August 2018. ↑ "Turkish, Saudi foreign ministers discuss ties". Anadolu Agency . 10 August 2018. ↑ Steven Chase (7 August 2018). "U.S. refuses to back Canada in Saudi Arabia dispute". The Globe and Mail. Retrieved 8 August 2018. ↑ "'We don't have a single friend': Canada's Saudi spat reveals country is alone". The Guardian . August 11, 2018. ↑ "Canada to ask allies to help cool Saudi dispute; U.S. offers no aid". Reuters. Retrieved 10 August 2018. ↑ "UAE, Arab League voice support for Saudi Arabia in Canada dispute". Arabian Business. 7 August 2018. Retrieved 11 August 2018. ↑ "It's open season in Saudi Arabia on everything Canadian". Arabian Business. 11 August 2018. Retrieved 10 August 2018. ↑ "The Saudi Arabia-Canada Feud, Explained". Atlantic Council. 9 August 2018. Retrieved 11 August 2018. ↑ "Canada seeks help from allies to end tension with Saudi Arabia". Memo. 11 August 2018. Retrieved 11 August 2018.